As part of their final year within the International Baccalaureate (IB) Primary Years Programme (PYP) the PYP 6 students carry out a in depth project called the PYP Exhibition. 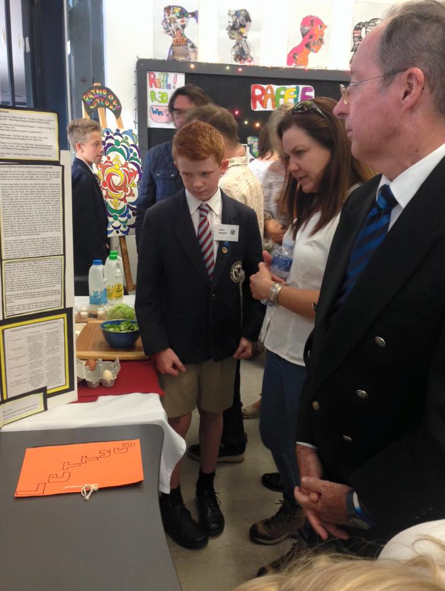 The aim of the Exhibition is to encourage the students to work collaboratively whilst conducting an in-depth inquiry into a real life issue or problem. The students must use the 5 essential elements whilst also demonstrating the Learner Profile. 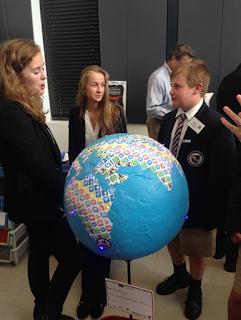 The 2015 PYP 6 Exhibition looked at the Transdisciplinary Theme ‘How we organise ourselves.’ There were 6 groups exploring the descriptor – ‘an inquiry into the interconnectedness of human-made systems and communities; the structure and function of organisations; societal decision-making; economic activities and their impact on humankind and the environment’. • Children can play a role in how a community develops. • Emergency services contribute to the well-being of a community. • The impact of social media affects people in their daily lives. • The cost of food production determines its price and quality. • Charitable organisations impact the lives of people in a community. • Economic status determines ease of access to medical care. Each group included all 5 elements of the Primary Years Programme (Concepts, Knowledge, Skills, Attitudes and Action) and have produced work of a very high standard. We were very impressed with the way the students confidently presented their work and have involved themselves in Community Action, we are extremely proud of their achievements! Please enjoy the attached video which gives a brief introduction to the PYP 6 Exhibition. Well done, PYP 6 and best of luck for your first year in the High School in 2016. 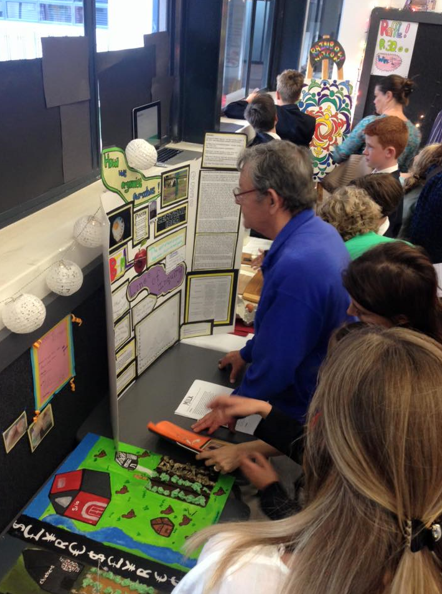 0 Response to "2015 PYP 6 Exhibition – How We Organise Ourselves"